Evil lurks in the hearts and minds of men and many nefarious schemes are hatched by these gangsters, mob bosses and super villains. But thankfully, equally brave, talented detectives (some of them hooded) are there to track them down and thwart their twisted plans. These six stories, along with two “true fact detective shorts” were in the magazine Hooded Detective, January 1942. Are they well written? well, no, but they are fun. Here are a few of the blurbs: “They had expected spaghetti with meat sauce for dinner, but were served instead, hot lead, with a little bit of blood on the side….” (A Dinner Date with Murder) “Wilson Lamb cuddled his automatic to play “Mr. Death” and fingered little Louis Engel for coffin cargo. 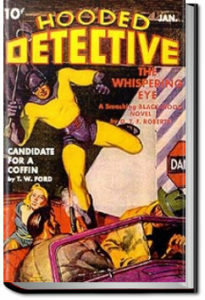 But when he pulled the trigger, Whisper the gun-cobra from Chi spilled out of Doom’s deck..” (Candidate for a Coffin). How can you top that last sentence? This entry was posted in Reading and tagged all you can books, audio books, books, download audio books, free audiobooks download, free ebooks for kindle, listen to books online free, unlimited crime books on February 15, 2019 by all-you-can-books. This entry was posted in Reading and tagged all you can books, audio books, books, download audio books, free audiobooks download, free ebooks for kindle, listen to books online free, unlimited crime books on January 5, 2019 by all-you-can-books. 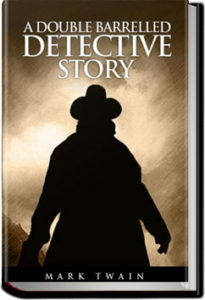 A Double Barrelled Detective Story is a novel by Mark Twain, in which Sherlock Holmes finds himself in the American west. 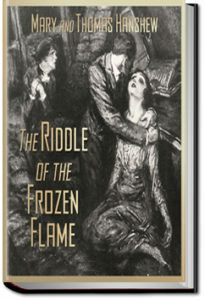 At a mining camp in California, Fetlock Jones, a nephew of Sherlock Holmes, kills his master, a silver-miner, by blowing up his cabin. Since this occurs when Holmes happens to be visiting, he brings his skills to bear upon the case and arrives at logically worked conclusions that are proved to be abysmally wrong by an amateur detective with an extremely keen sense of smell, which he employs in solving the case. This could be seen as yet another piece where Twain tries to prove that life does not quite follow logic. This entry was posted in Reading and tagged all you can books, audio books, books, download audio books, free audiobooks download, free ebooks for kindle, listen to books online free, unlimited crime books on December 23, 2018 by all-you-can-books. 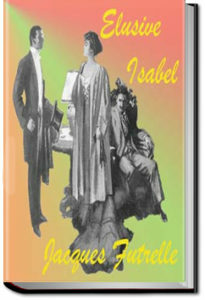 Set in Washington, D.C., it is a spy novel about an international conspiracy of the “Latin” countries against the English-speaking world with the aim to take over world control. This entry was posted in Reading and tagged all you can books, audio books, books, download audio books, free audiobooks download, free ebooks for kindle, listen to books online free, unlimited crime books on November 23, 2018 by all-you-can-books. This entry was posted in Reading and tagged all you can books, audio books, books, download audio books, free audiobooks download, free ebooks for kindle, listen to books online free, unlimited crime books on November 15, 2018 by all-you-can-books. Another full-length mystery story featuring Hamilton Cleek, whom we met first in Cleek: The Man of the Forty Faces. This time, Cleek investigates the sinister disappearance of people and the mysterious appearance of flames at night in the desolate Fens, and his friend Superintendent Narkom of Scotland Yard tries to solve some tricky cases of bank robberies in London. While not quite up to the standard we have come to expect from previous Cleek adventures, it is still quite a jolly romp, and Cleek’s cockney sidekick Dollops is always good fun. This entry was posted in Reading and tagged all you can books, audio books, books, download audio books, free audiobooks download, free ebooks for kindle, listen to books online free, unlimited crime books on November 11, 2018 by all-you-can-books. This is not merely a book about the Russian Jews. It is a marvelous revelation of the Russian soul. 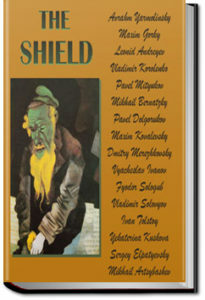 It shows not only that the overwhelming majority of the Russian intellectuals, including nearly all of her brilliant literary geniuses, are opposed to the persecution of the Jews or any other race, but that they have a capacity for sympathy and understanding of humanity unequaled in any other land. I do not know of any book where the genius and heart of Russia is better displayed. Not only her leading litterateurs but also her leading statesmen and economists are represented—and all of them speak as with a single voice. This entry was posted in Reading and tagged all you can books, audio books, books, download audio books, free audiobooks download, free ebooks for kindle, listen to books online free, unlimited crime books on September 27, 2018 by all-you-can-books. 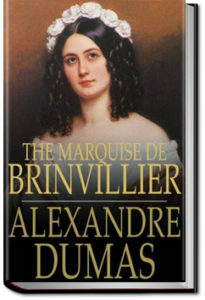 The crimes of the Marquise of Brinvilliers, a French aristocrat during the reign of Louis XIV, included some of the most famous murders, scandals (Affair of the Poisons) and mysteries (the Man in the Iron Mask) in French history. This story recounts her major crimes, torture, conviction and execution. This entry was posted in Reading and tagged all you can books, audio books, books, download audio books, free audiobooks download, free ebooks for kindle, listen to books online free, unlimited crime books on August 10, 2018 by all-you-can-books. 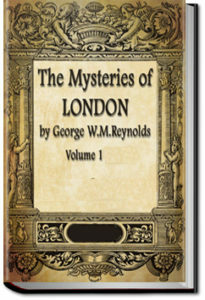 The Mysteries of London was a best-selling novel in mid-Victorian England. 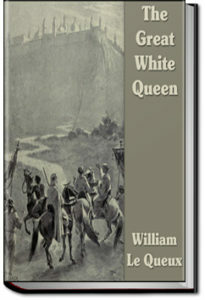 The first series was published in weekly instalments from 1844-46, priced at a penny each. Serialised novels sold in this way were known as Penny Dreadfuls … without any claim to literary greatness, they sought to provide ongoing entertainment for the popular audience. This entry was posted in Reading and tagged all you can books, audio books, books, download audio books, free audiobooks download, free ebooks for kindle, listen to books online free, unlimited crime books on August 9, 2018 by all-you-can-books. 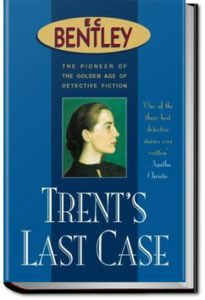 This is one of a series of EC Bentley novels featuring the highly erudite artist qua reporter / detective, Philip Trent. In it, Trent is sent to a charming English seaside village to cover the murder of Sigsbee Manderson for a large London newspaper. 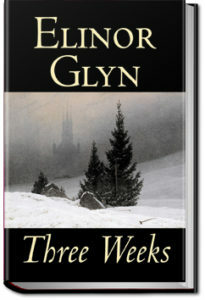 The victim is an unpopular and extremely powerful financial tycoon, who is murdered virtually within sight of his own house, at a time when it seems impossible that anyone there – to say nothing of all of its more than half dozen inhabitants – could have failed to see or hear the crime being committed. This entry was posted in Reading and tagged all you can books, audio books, books, download audio books, free audiobooks download, free ebooks for kindle, listen to books online free, unlimited crime books on June 23, 2018 by all-you-can-books.